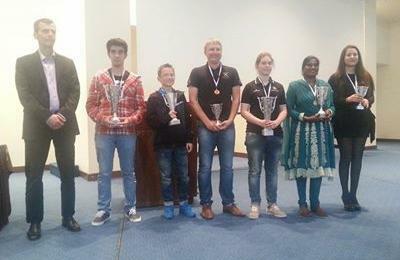 The new World Amateur Champions for 2015 have been crowned in Porto Carras: Mire Deniz Dogan from Turkey and Paula-Alexandra Gitu from Moldova are the new title holders for the categories of men and women with a FIDE rating less than 2000! In the open section (men), Mire Deniz Dogan scored 8 points in 9 rounds (7 wins and 2 draws) winning the championship undefeated! The 13-year old Konstantinos Michaelides from Cyprus won the silver medal and Kaimar Puusepp from Estonia won the bronze medal. In the women's section Paula-Alexandra Gitu won the gold medal also with 8 points in 9 rounds (8 wins and 1 loss). The 3 top winners of the open (men's) section and the first winner of the women's section, apart from their money prizes, also qualified for the European Continental Championships 2016, part of the World Championship cycle, with free accommodation and full board by FIDE! The FIDE World Amateur Championships 2015 took place in the 5-star Porto Carras Grand Resort in Halkidiki (Greece), with the participation of 135 players from 41 countries and a prize fund of €8.000 for the winners. The FIDE World Amateur Championships, for men and women with a FIDE rating below 2000, have started at the 5-star Porto Carras Grand Resort in Greece with the participation of 135 players from 41 countries and a prize fund of €8.000 for the winners, together with qualifications for the World Championship cycle! The event is held under excellent playing conditions in the conference center "Olympic Hall" of Porto Carras. 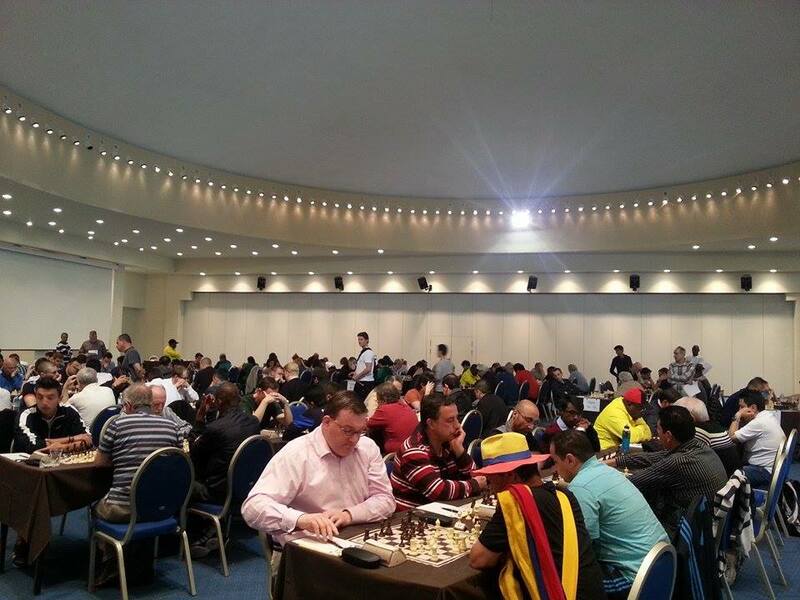 For more information and continuous updates, follow the results with live games and photos on the official website of FIDE at http://worldamateur2015.fide.com. The 2015 World Amateur Chess Championships will be held in Porto Carras, Halkidiki, Greece, on the northern coast of the Aegean Sea, from 13-22 April 2015. The games will take place in the conference center of the 5-star Porto Carras Grand Resort, on the Sithonia peninsula of Halkidiki, 100 km south of Thessaloniki airport. Porto Carras is an excellent holiday destination, surrounded by pure natural beauty and sandy beaches on the crystal-clear waters of the Aegean Sea. Download the invitation (in PDF).